After installing the XenonPro LED headlight conversion kit with phenomenal results, we’ve decided to install and test the XenonPro HID headlight kit. With the impressive results we got from their LED conversion kit, we had high expectations going in for their HID kit. 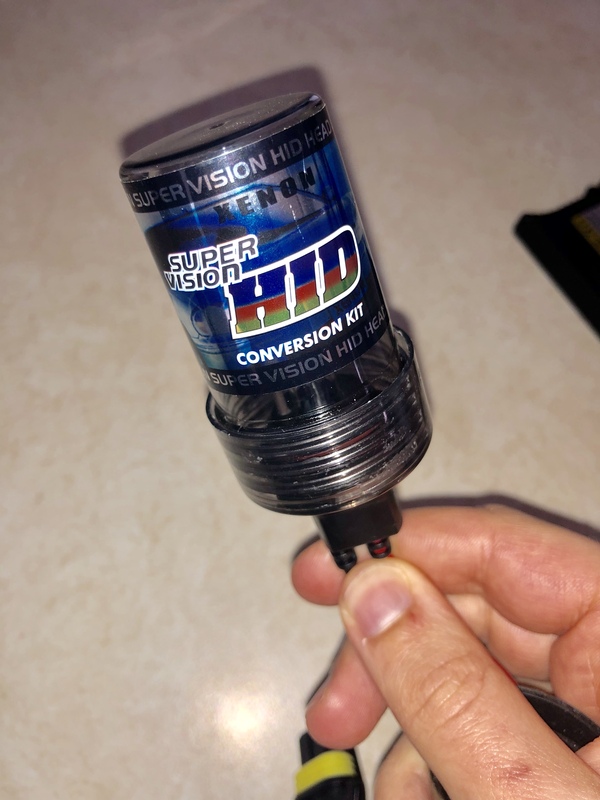 We’ve reviewed a whole bunch of the top HID kits currently on the market and this is unquestionably one of the best, especially when factoring in the lifetime warranty and competitive pricing. The XenonPro HID kit comes equipped with some premium parts including German-engineered bulbs and ultra-slim digital ballasts making the kit quick and easy to install (Plug & Play). Maximum brightness (from 35 watts/5500 lumens to 55 watts/8000 lumens). In an effort to see this kit’s full potential, we decided to test out the XenonPro H11 HID kit with a bulb temperature of 6000k (bright white) on our low beams with the 55-watt upgrade. The upgrade from 35-watts to 55-watts cost $20 but doubles the brightness to 8000 lumens. We don’t recommend going under 4300k or above 8000k. All XenonPro HID kits come with free 2-day shipping but this time we received in just over 24-hours, once again with FedEx compared to the LED kit that came in just over 2 days as we previously covered. We received the HID kit in a large black cardboard box with “HID” printed on the front. 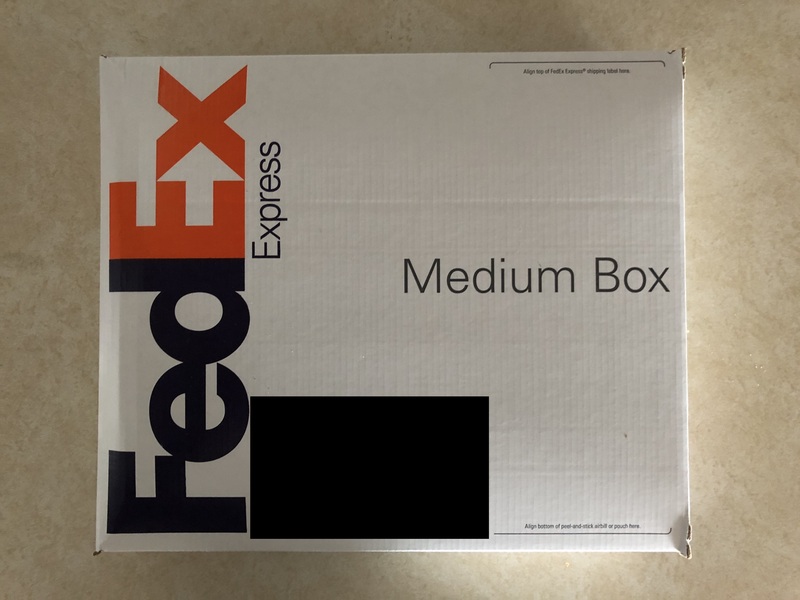 The kit was delivered in a FedEx box, which is much better than some kits that ship in just a padded envelop and often come damaged. Like the XenonPro LED kit, the HID came very well packaged, with the bulbs and components each fitting into tightly secured slots with the capacitors popped on the top. Capacitors are not required for all vehicles. The box came equipped with a useful assembly diagram printed on the inside flap and a helpful but confusing installation manual. Inside the box, we find a pair of bulbs each secured within a strong plastic cover for protection during delivery with the wiring ready to be connected to the ballasts and to your factory harness. For our kit, we have the capacitator that plugs effortlessly between the factory harness and the bulb. The ballasts are slim, small and powerful, and no more than a quarter inch in height. 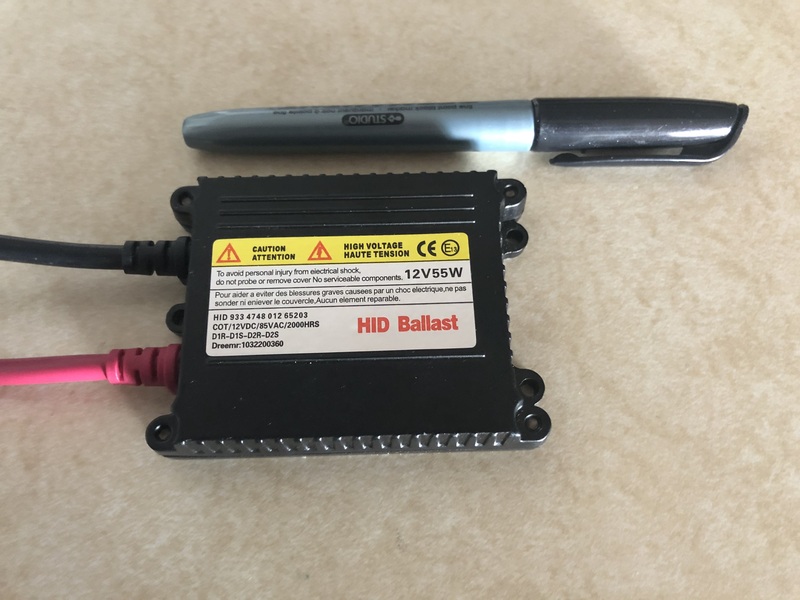 These are great for installation, especially when compared to other kits that have big and bulky ballasts, which makes it hard to find a suitable place to secure them under the hood. Once all wired and ready for installation, this is what we get. The metal brackets you see turned out to be useless as we always prefer to use zip ties to secure the ballast and in this case, the capacitors as well. We were extremely pleased with the XenonPro kit results. Boasting a powerful and bright light with a nice cutoff and wide-angle light coverage, we definitely recommend this kit. We installed the XenonPro.com HID conversion kit on a 2015 Toyota Highlander used mostly for city driving. You can see in the second image that the light is much more white and bright compared to the stock halogen shown in the image above. Despite sporting some reflector-type headlights, the light was sharp with a very clear cutoff. Some cheaper kits have a lot of wasted light that’s ‘splattered’, leading to poor light output. The 6000k kit emitted a true white color with a very, very slight blue/purple hue. If you go with a 5000k kit you will have a slight yellowish tint. This kit’s light output and color can be compared to new luxury vehicles such as Audi and BMW’s. Overall, the XenonPro.com HID kit met the high expectations that we had after installing their LED headlight kit. The kit was truly Plug & Play, the components and bulbs were well made and the lighting results were simply spectacular. This kit is very competitively priced, starting at $79.99 especially when considering that each kit comes with a lifetime warranty with free replacement parts for life. Comment in the section below to let us know what you think of the XenonPro HID kit or to give us feedback on our review for future improvements. The kit took about an hour and some change to install, about 30-40 minutes per side. The installation can take longer if your headlights are harder to remove. We recommend finding a YouTube tutorial for a smooth installation experience or you can follow our HID installation guide with pictures. 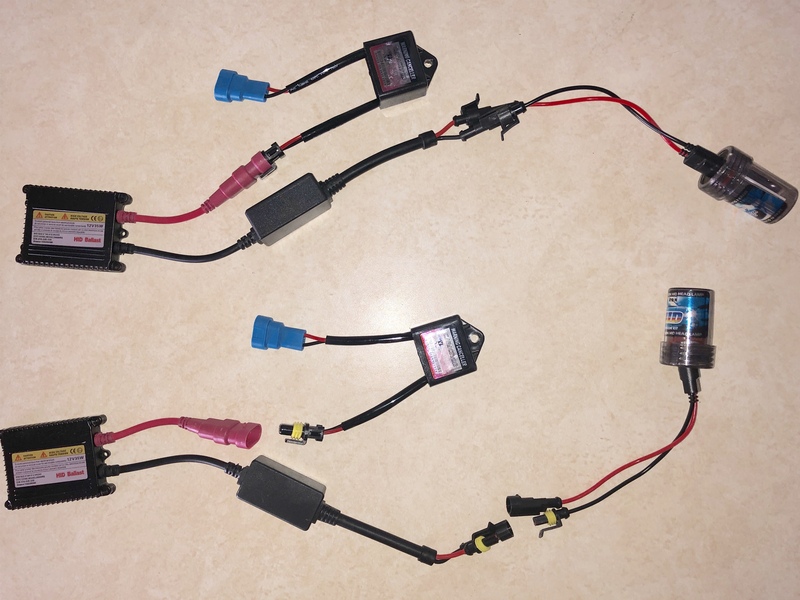 You can skip steps 1 and 2 given that this kit doesn’t connect directly to your car’s battery (unless you have a dual-beam kit, in which case it would). When picking an HID kit, we recommend going with a 4300k, 5000k or 6000k for a nice and bright white color and if you can spare an extra $19.99, we strongly recommend the 55-watt upgrade. XenonPro offers HID kits for every type of lighting system and for every bulb size, but don’t worry, their vehicle finder will filter the exact kit for your car/truck as we covered in our review of their LED kit. Single beam kits: these are designed for vehicles with separate low beams and high beams. 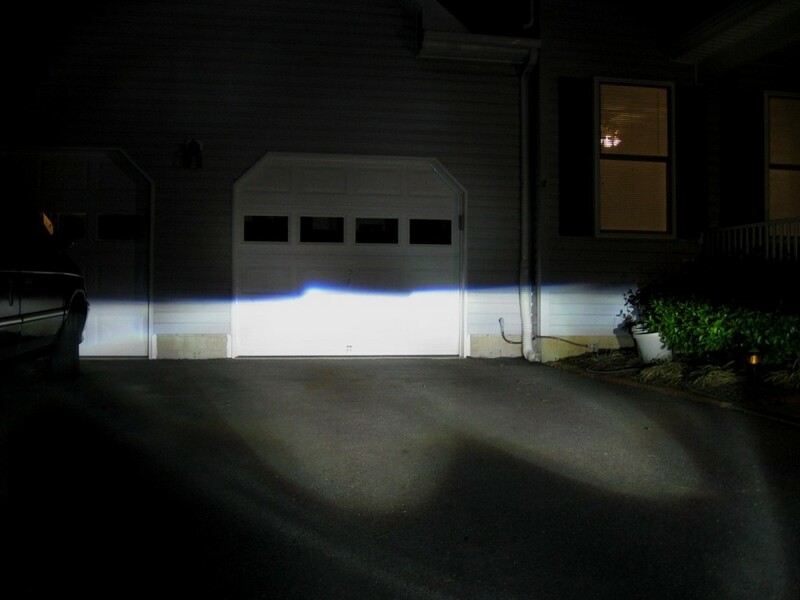 If you want to convert both your low beams and high beams, you’ll need to get a low beam kit and a high beam kit. Dual beam kits: these HID conversion kits are engineered for vehicles that have the low and high beams together, these are often called bi-xenon kits. You’ll only need one dual beam kit to cover both your low and high beams. Fog light kits: these kits, as the name suggests, will convert your halogen fog lights into HIDs (if your car has fog lights).